JACKSON, Miss. - Mississippi authorities are searching for four girls last seen with their mother and stepfather, who are both charged with mistreating the girls. Canton Assistant Police Chief Juan Cloy said Thursday that the girls, ages 1 to 6, had been put into state protective custody. But the mother and stepfather are believed to have taken them after getting out of jail and are now facing kidnapping charges. The children were last seen at their home in Canton, Miss., on Sept. 7. Clay said law enforcement officers believe the girls might be in danger from their stepfather, 24-year-old Fernando Pelayo, who was charged with felony child abuse in May. According to CBS affiliate WJTV, Pelayo was later released on a $200,000 bond. The station reports Madison County District Attorney Michael Guest said Pelayo severely beat his two oldest stepdaughters. "There were bruises and whelps," he said. "The prosecutor in my office who handles these types of cases made a note that these are the worst physical abuse marks that she's ever seen." 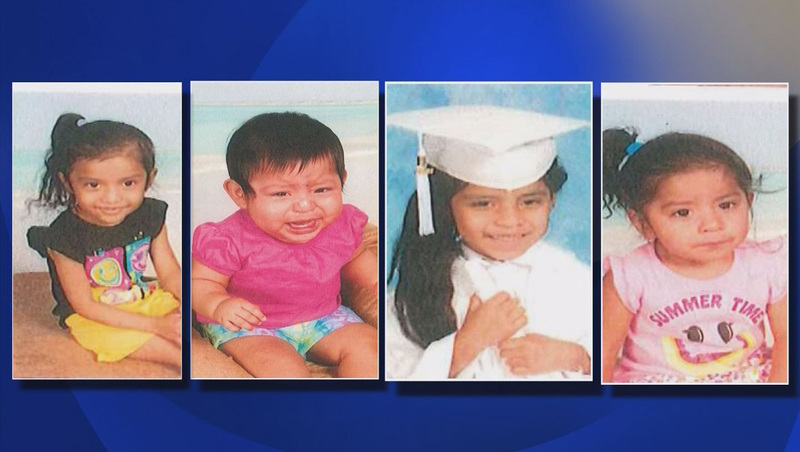 The Mississippi Bureau of Investigation on Sept. 12 issued a missing and endangered child alert for 6-year-old Kimberly Elizabeth Gomez-Coronado, 5-year-old Jackelyn Belinda Gomez-Coronado, 2-year-old Evelin Fernanda Coria-Coronado and 1-year-old Mendy Coria-Coronado. Police said the girls' mother, 28-year-old Sonia Elisabeth Coronado, was charged with felony child neglect in the case. Court records show Coronado had agreed to testify against her husband. "We don't know at this time if she was threatened or coerced to [take back the children] or if she just did so out of some sort of loyalty to Mr. Pelayo," Guest told WJTV. Authorities said Pelayo and Coronado are not U.S. citizens and Guest said it was possible they returned to Mexico, according to the station.